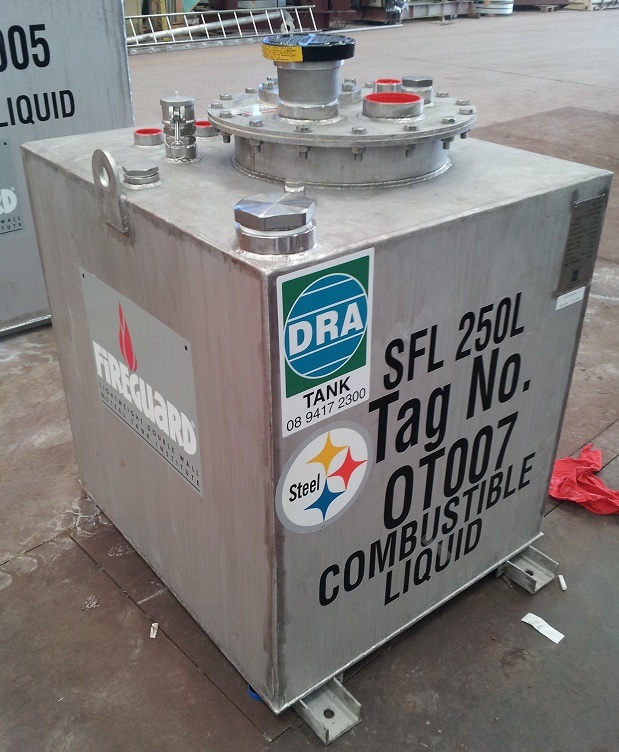 DRA Tank is a total fuel system supplier. 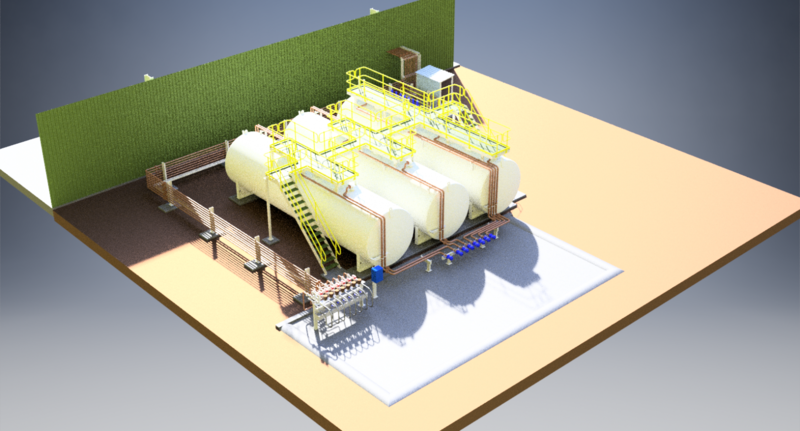 Above and below ground fuel and chemical storage tanks, site built tanks, site installations and pumping system design can all be handled by our in house design team. Being the only tank fabricator with their own abrasive blasting and coating division ensures the tanks are of the highest quality. DRA Tank became a member of the Steel Tank Institute (STI) in 2001 allowing it to manufacture the entire range of STI accredited tanks. All manufacturing is subject to third party inspection in accordance with our STI license. DRA has been awarded by STI the top quality award for many years.  Apart from STI quality control, manufacturing meets all appropriate Australian fabrication standards. 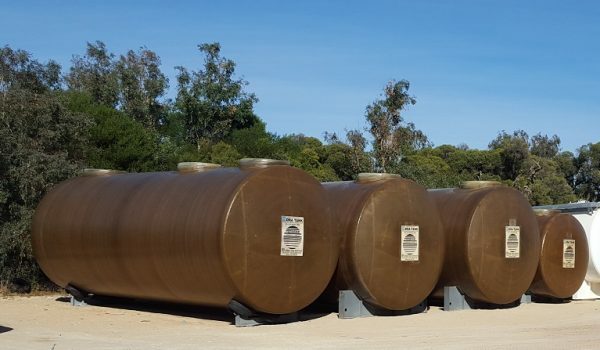 Permatank is a double walled jacketed underground tank consisting of the inner steel tank with corrosion resistant fibreglass outer skin. The leak detection system monitoring the vacuum guarantees no product leakage. Each Permatank is supplied with a 30 year warranty ensuring a lifetime of trouble free storage. The fibreglass tank with a heart of steel. Combines the structural strength and fuel compatibility of steel with the corrosion resistance of fiberglass. Unique stand-off mesh separates the inner and outer tanks, creating a uniform interstitial space that promotes rapid and accurate leak detection. Precision Test System exceeds EPA leak detection criteria for USTs (detects liquid in the interstice at rates of less than 0.38 L./hr.). 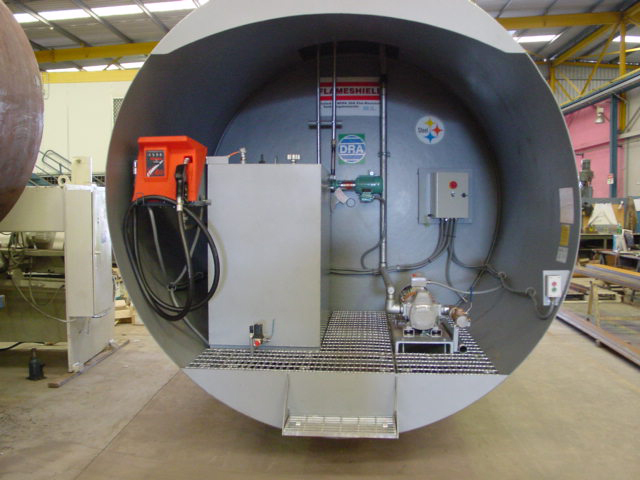 Primary tank manufactured to meet AS1692 & STI requirements for Underground storage tanks. Built to internationally recognized STI standards with strict third-party quality control inspection program. Capacities range up to 150,000 Litres. Every Permatank is shipped with the interstitial space under vacuum – ensuring the tank is tight when delivered. 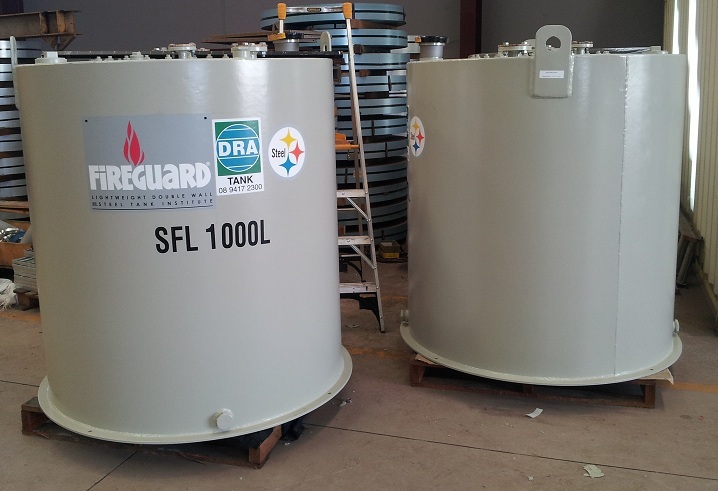 Fireguard tanks are fabricated with an outer steel wall that wont crack or spall like concrete. The unique thermal insulation is 75% lighter than concrete and sufficiently porous enough to facilitate quick emergency venting and/or leak detection. The Next Generation in Fire Rated Above Ground Storage tanks. Manufactured exclusively by Steel Tank Institute (STI) members. Two-hour UL 2085 fire rating, including ballistics and vehicle impact resistance. Tested successfully up to 4 hour fire rating. Acceptable for motor vehicle fuelling applications. 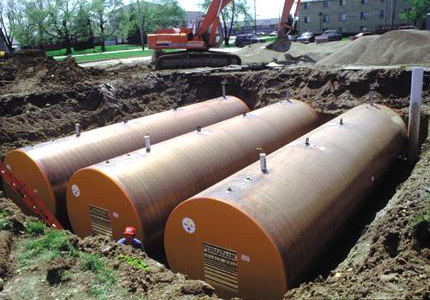 Codes allow Fireguard® tanks to be placed with reduced separation distances from buildings and property lines. 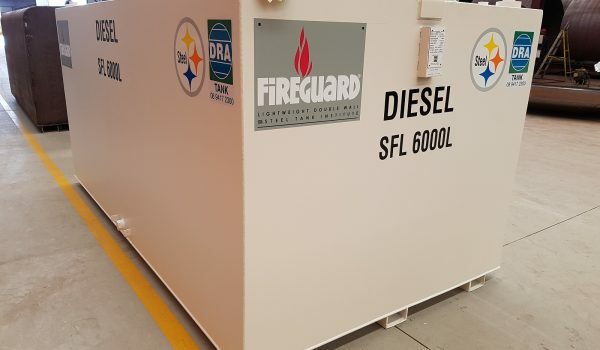 Fireguard’s secondary containment can be tightness- tested on-site, using standard testing procedures. Fireguard’s exterior steel wall provides superior weather ability and low-cost maintenance. Unlike concrete, cracking or spalling will never be a problem. Built with strict independent third-party quality control. Available in horizontal, vertical or rectangular designs, on saddles, skid supports. 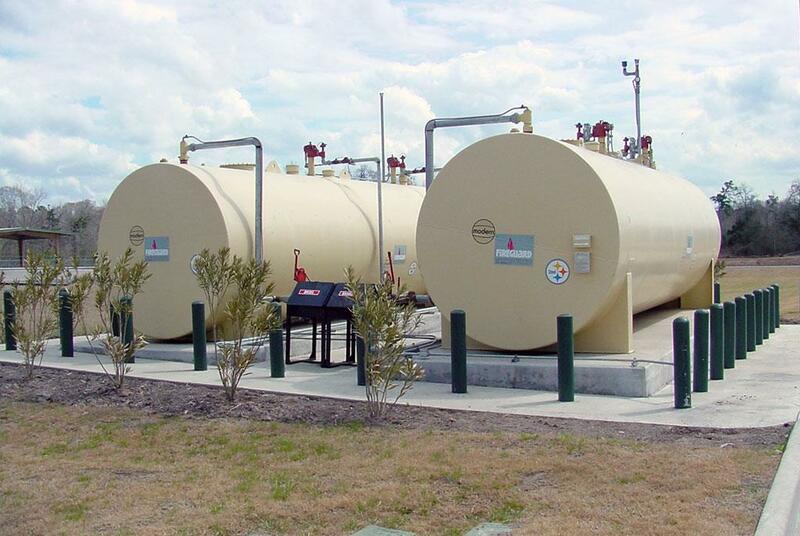 DRA can supply site installation services for their range of tanks and custom designed fuel farms. Complete installation including foundations, tank installation, pipe work, electrical system and tank commissioning are all services available. 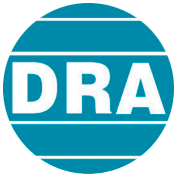 DRA can work with existing contractors to perform some or all of the work required. 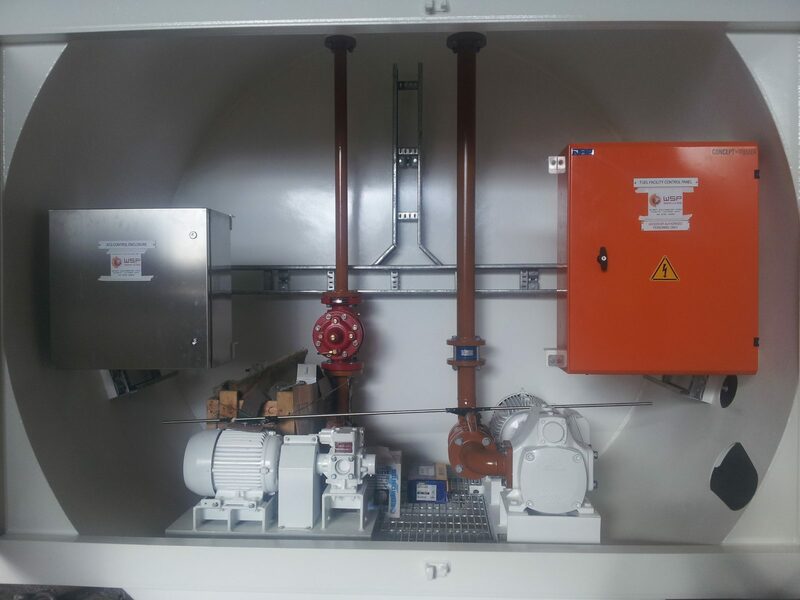 DRA Tank can design and install specialsed pumping equipment and systems to client specifications. 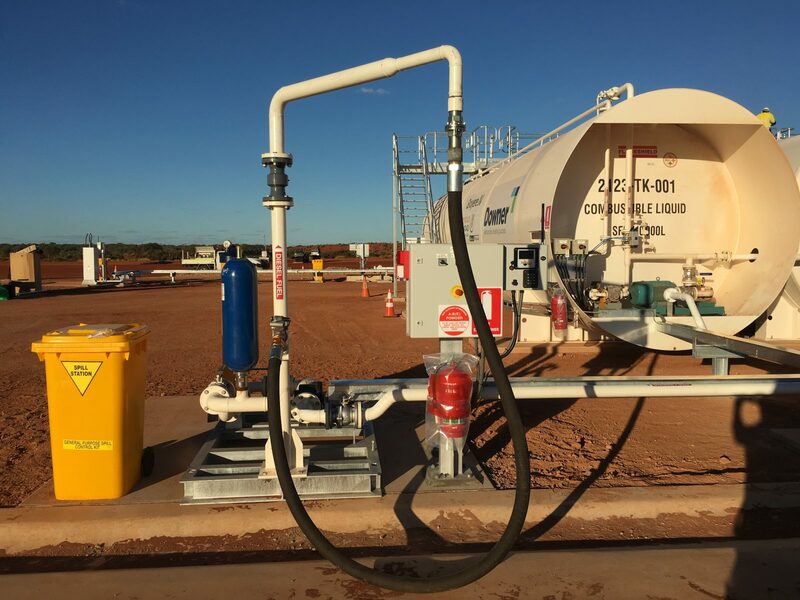 The systems can be as basic as a lockable pumping station with manual recording, up to electronic recording systems that can track up to 998 vehicles and store 1500 issues of fuel. 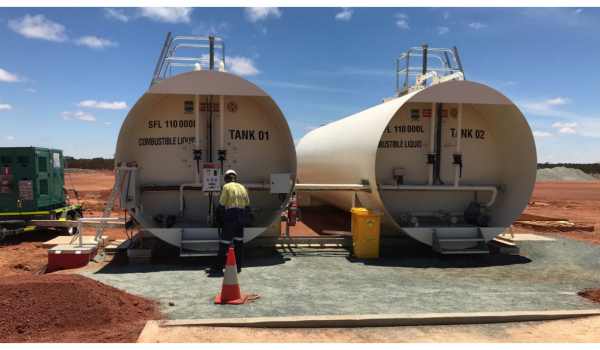 Coupled with self bunded above ground tanks, these units are perfect for transport yards, crane hire business, mine sites or any other business with vehicles fueling from the one tank. The fill system can supply fill reports with vehicle listings, speedometer, hour meter and a range of other user variables. With the use of a digital phone modem the information can be accessed remotely alleviating the need for cabling and allowing remote installation. 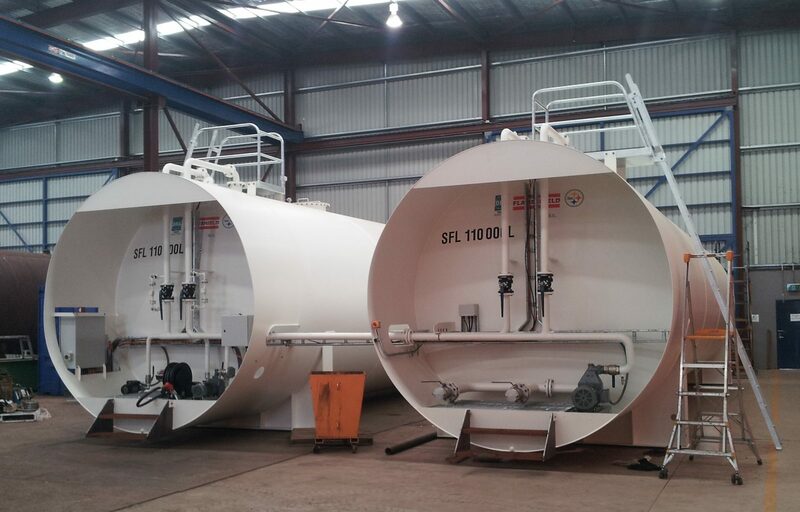 DRA has the expertise to fabricate site built tanks up to 12,000,000 litres to API 650 and AWWA D103. 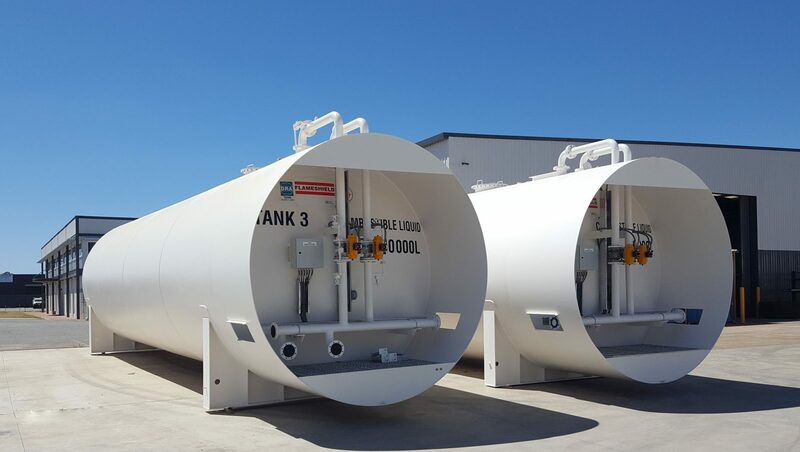 These vertical tanks can be completed as a single tank or multiple smaller tanks. 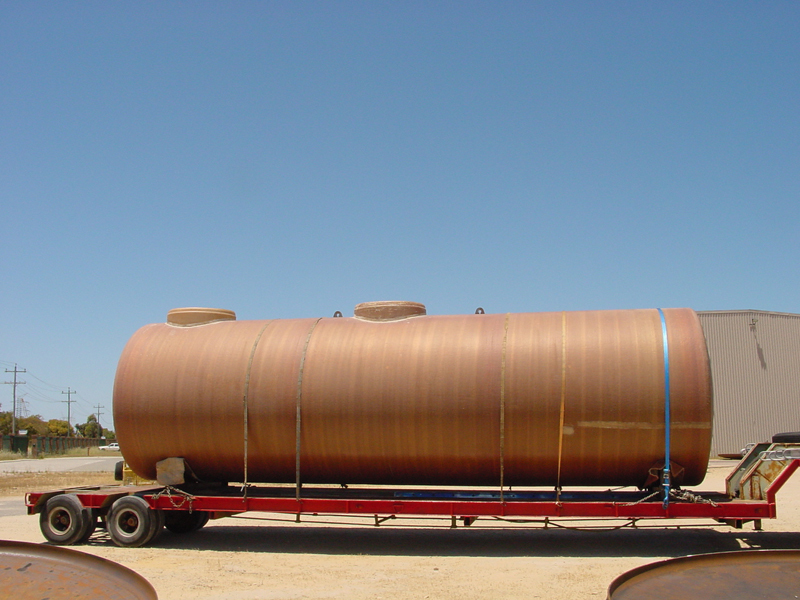 Tank fabrication is conducted completely on site with all pipework, stairways and platforms fabricated in the factory then shipped to site. Foundations, pumping, electrical and bunding designs can also be completed by our design team. 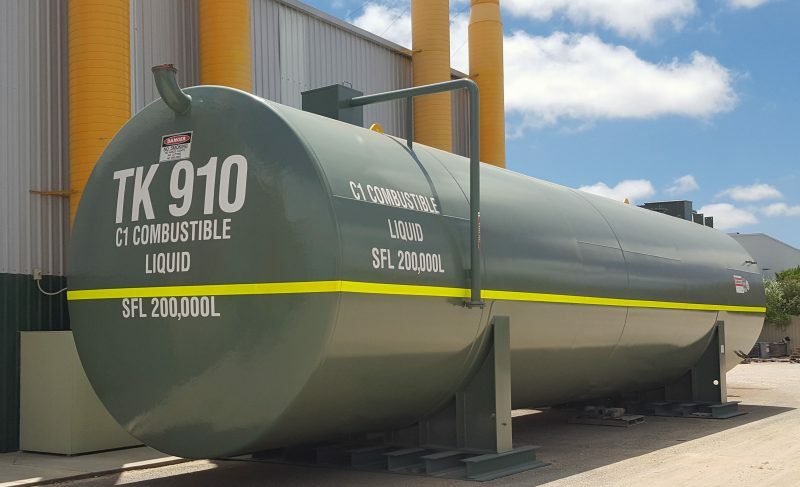 Flameshield is a double walled steel tank for above ground storage of flammable and non flammable liquids. Flameshield meets NFPA 30A fire resistance construction of 2 hours. 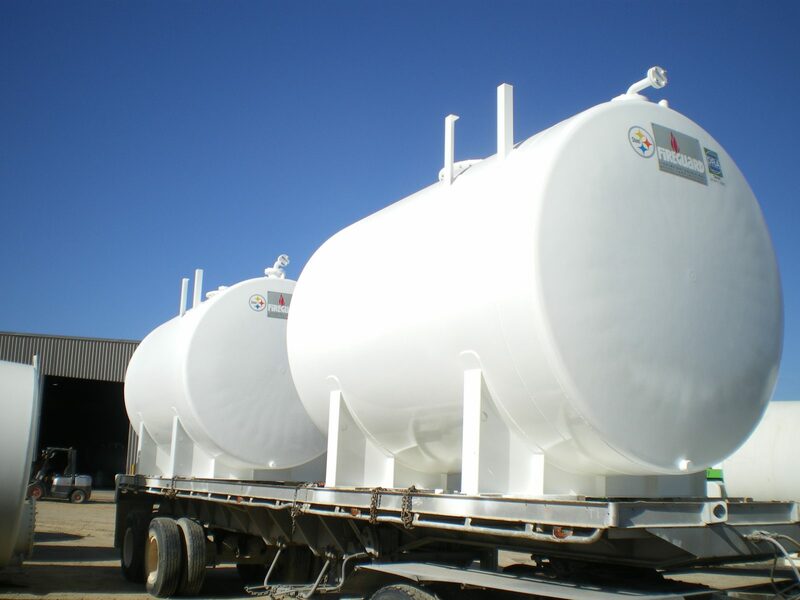 Fire-resistant aboveground storage tank with a tight-wrap double wall design. Meets US National Fire Protection Association (NFPA) 30 / 30A criteria for fire-resistant AST. Tested by Southwest Research Institute to SwRI 97-04, for 2 hours at 1100 °c. 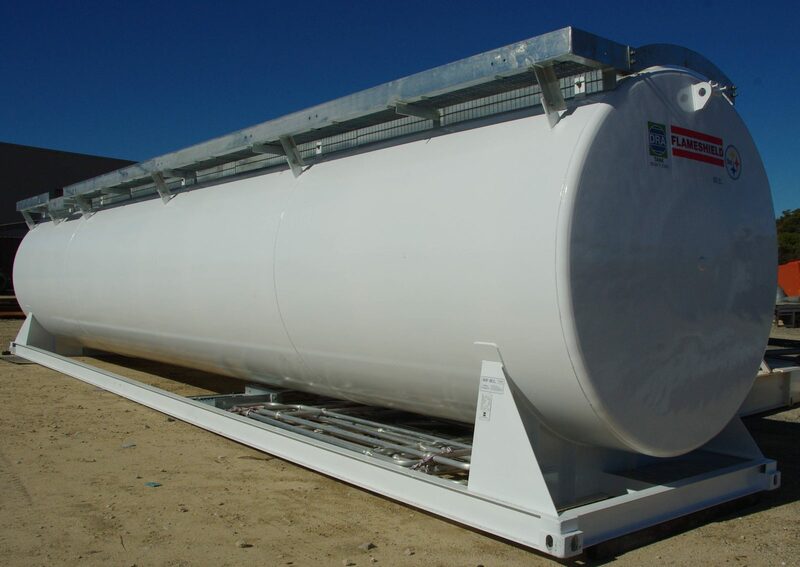 Primary storage tank and secondary containment compatible with a wide range of fuels and chemicals. Interstitial space can be monitored for leak detection. Built to internationally recognized STI standards with strict third party quality control inspection program. 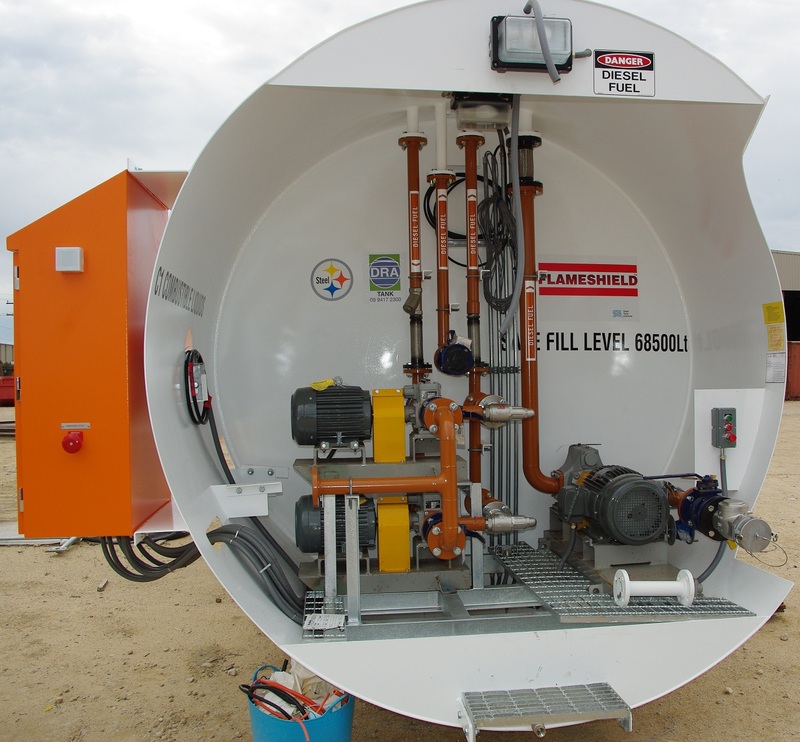 Capacities up to 200,000 L available. 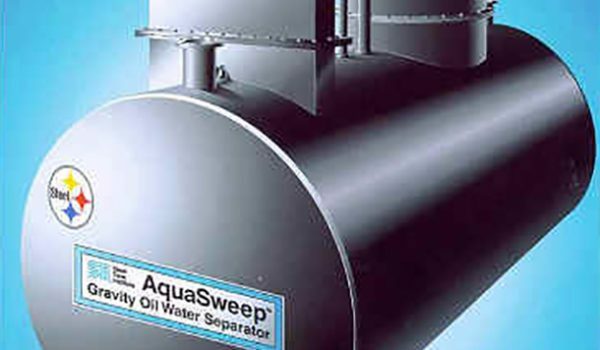 AquaSweep removes non emulsified oils and related petroleum products from stormwater run off down to 15 ppm. Available in single and double wall design. Tested to UL 2215 and ULC-S656 and meets the US EPA clean water act. Range available to match run off flow rates. Gravity Oil Water Separators that have something different . . . UL2215 Approval. Used to process storm water and wastewater runoff for compliance with US EPA Clean Water Act criteria. Tank capacities up to 150,000 litres. Handles flow rates from 170 to 37,800 litres per minute. Rated effluent efficiency of less than 10 ppm on most models, and less than 5 ppm on select models. 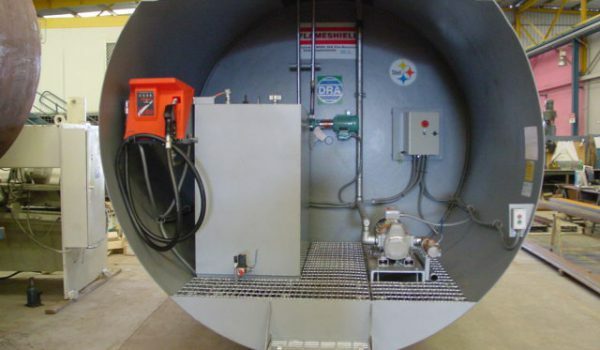 Corrosion protection of exterior tank constructed to nationally-recognized STI standards with strict third-party quality control inspection program. 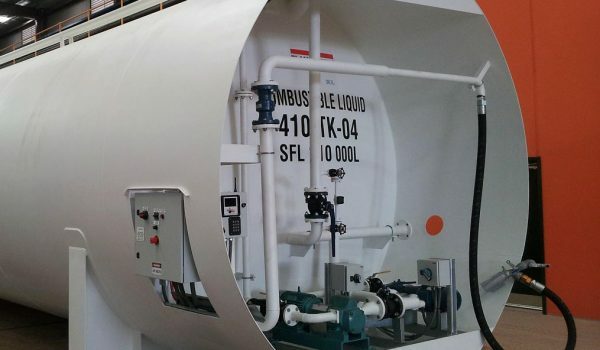 Liquid level sensors and control panels available to sense the oil level within the tank, and alert the operator when the oil needs to be removed. Level sensors and safeguard controls available. 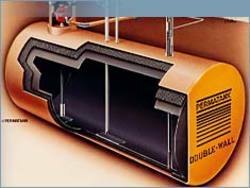 Optional double wall design offers integral secondary containment. Gen-Tank provides sturdy support for backup and emergency power generators. 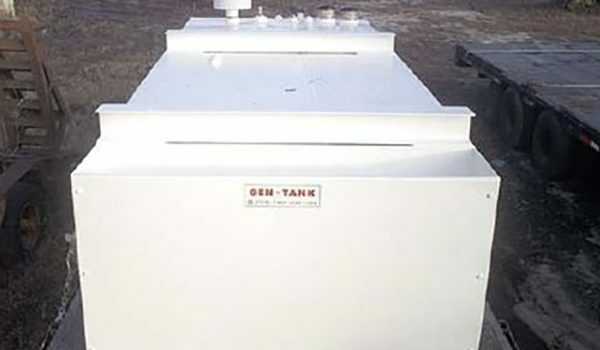 The low profile design of the Gen-Tank serves as structural support for the generator mounting. Construction tested to UL2085 and fire resistant construction tested to SwRI 97-04. Sturdy and compact support for you backup or emergency power generator. 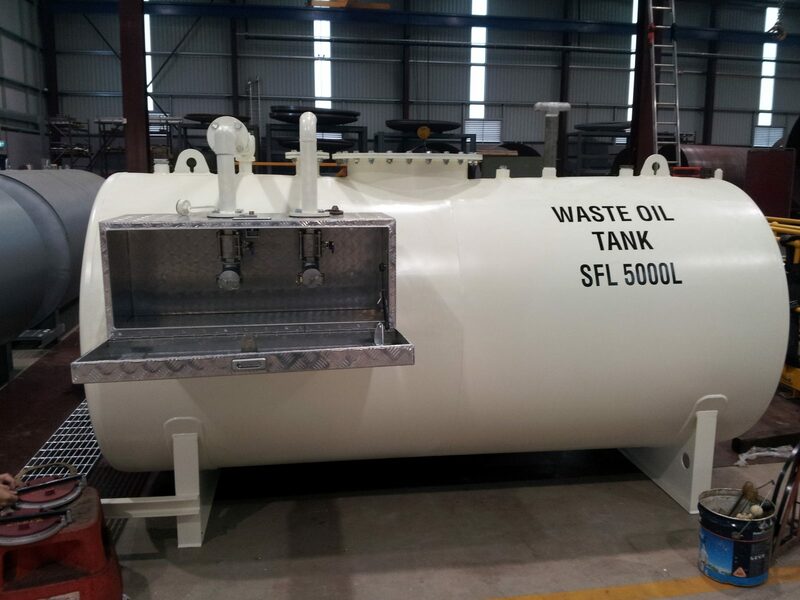 Tested and listed by Underwriters Laboratory as a Special Purpose Tank. Available in fire-protected, fire-resistant, double wall or single-wall flanged designs with a load bearing capacity of 2,700 kg per attachment point. 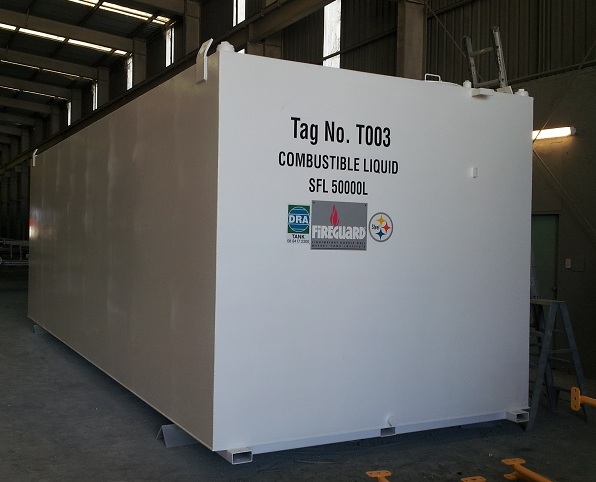 Protected tank construction tested to UL2085. Fire-resistant construction tested to SwRI 97-04. 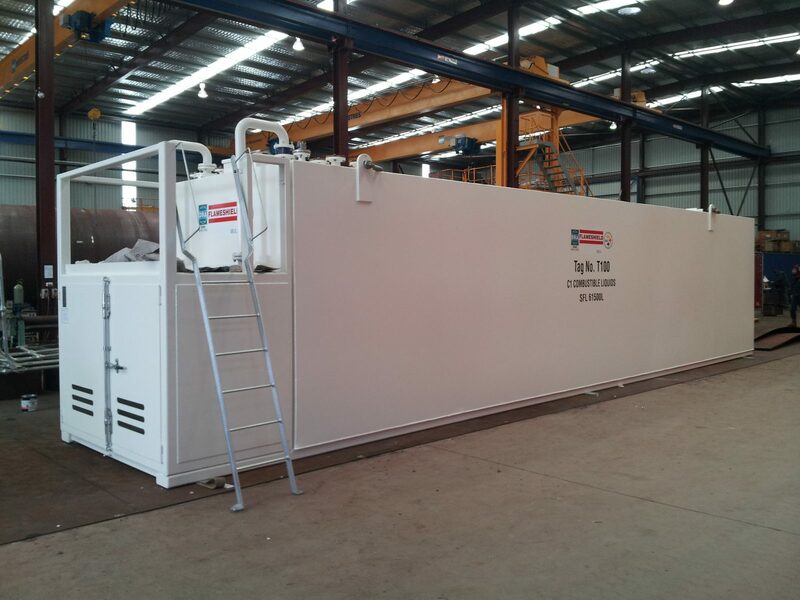 Low-profile rectangular design with capacity of up to 50,400 litres, 1200 high, 3500 wide and 12000 long. 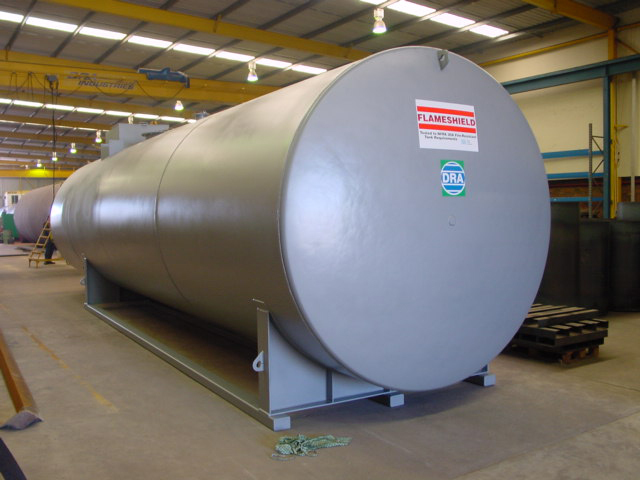 Protected tank design also available with internal supports with a load-bearing capacity up to 7,950 kg per support beam. 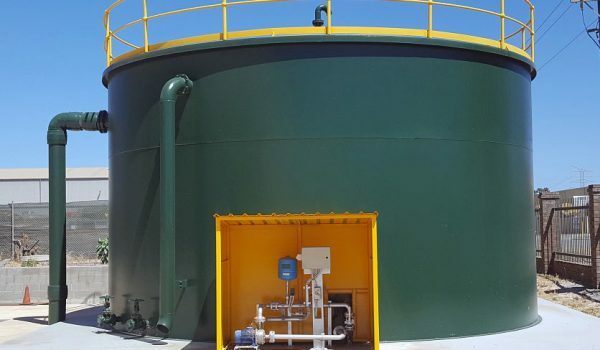 Double-wall, fire-resistant and protected tank designs offer integral secondary containment which can be tested for tightness on-site throughout tank life. 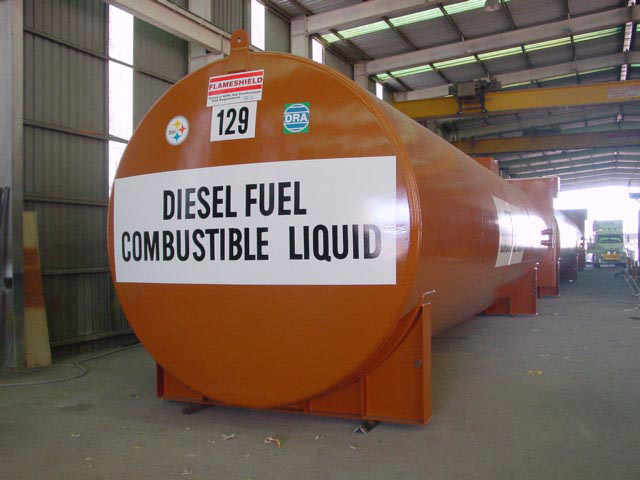 Primary storage tank and secondary containment compatible with a wide range of fuels and additives.